Seems the halls of Walnut River General are harbouring a few juicy secrets. Rumours are flying that ER nurse Simone Garner is having a baby – and it's paramedic Mike O'Rourke's! Everyone knows Mike is quite the catch, but is marriage on his radar? One has to wonder if Simone would stand a chance with Mike if she wasn't pregnant with his child. Or does he know something we don't? Neil Kane arrived at Walnut River General Hospital to investigate charges of insurance fraud, knowing he'd be Public Enemy No.1. To his surprise, he soon discovered an unexpeteced ally in – and an undeniable attraction to – Isobel Suarez. But everything changed once Isobel herself was accused of wrongdoing, and Neil had to decide which was more important: his job…or the woman who'd stolen his heart. 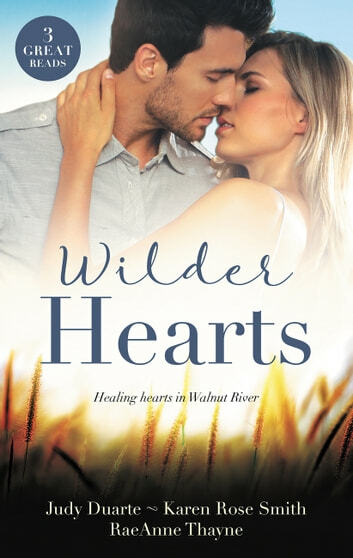 To snag a coveted promotion, financial whiz Anna Wilder has to close one last important deal: the takeover of her hometown hospital, Walnut River General. Black sheep Anna never felt like she fit into the respected Wilder clan, and now her job was making the proposed merger personal – especially after she met her opponent in the boardroom! Richard Green was the savvy attorney – and ex–love – determined to foil her plans. But perhaps Anna's return is a second chance in disguise. Can Richard convince Anna that this merger is bad business…and take over her heart instead?